and provide relief from stress. Transcendental Meditation, as taught by Maharishi Mahesh Yogi, is a simple, natural, effortless mental technique, which is practised for 20 minutes morning and evening and unfolds a person’s full potential. It can be practised by anyone whatever their age, level of education or cultural background. It requires no change in belief, lifestyle or diet. Published peer-reviewed scientific research has measured improvements in many areas of life. 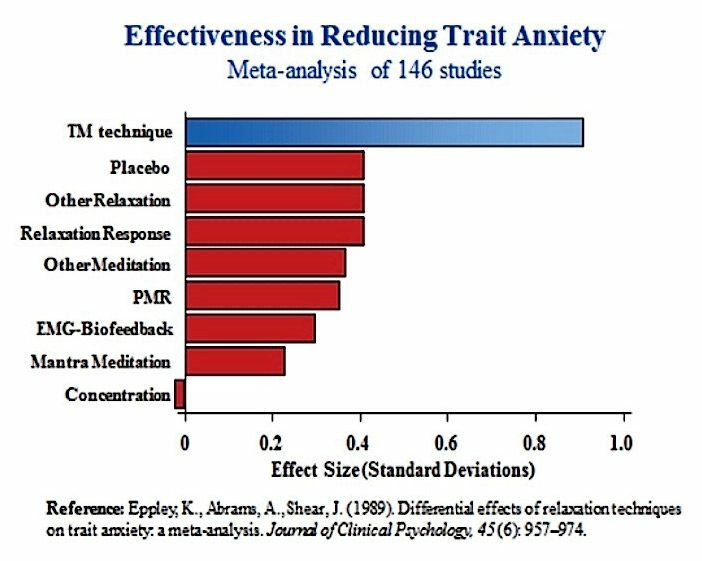 These include increases in creativity and energy and decreases in anxiety and hypertension. 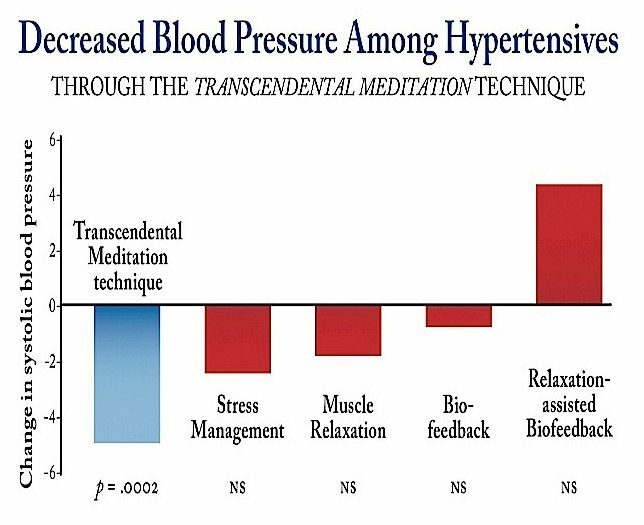 In 2013 the American Heart Association reviewed all the evidence on different types of meditations and the only one they could recommend for reducing high blood pressure was Transcendental Meditation. 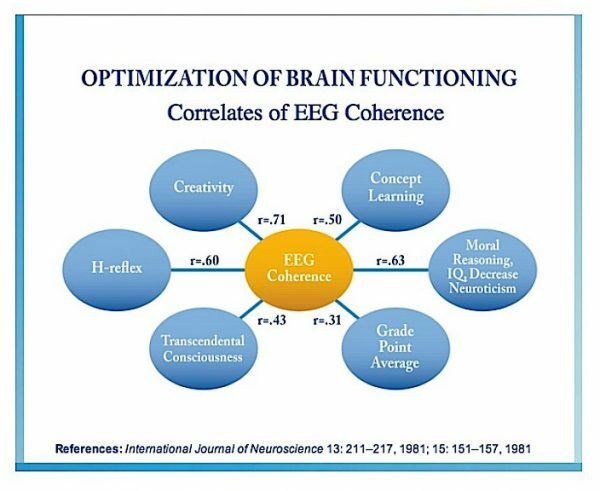 At the basis of these changes is more integrated brain functioning. Different types of meditation produce different effects on the brain as measured by an electroencephalograph (EEG). Transcendental Meditation allows the brain to function in a more orderly and coherent manner and so a person’s health improves and they become ill less often. Research on Transcendental Meditation has been carried out in more than 30 countries, at more than 200 universities and research institutes. More than 400 scientific papers have been published in over 100 peer-reviewed journals. Transcendental Meditation is taught under the auspices of Maharishi Foundation, a registered educational charity. The course fees vary according to a person’s income, in order that everyone can afford to learn Transcendental Meditation. In special cases of financial hardship there are scholarships available. The course fee can be paid over several months and once one has learned the technique one has it for the rest of one’s life. Thus, the once-off cost of TM compares very favourably with annual membership of a gym, buying a computer or having a holiday. The David Lynch Foundation has also inspired a number of celebrities to learn Transcendental Meditation. CLICK HERE to view a 4-minute video which shows some of the research and gives some testimonials both from ordinary people and those who are more famous.